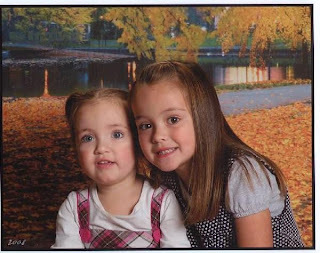 These are my little nieces, the children of my brother Danny, who live near Tacoma, Washington. Little Aubriel is on the left, and Kelia is on the right. I really enjoyed bonding with them when I visited WA back in 2007, but now all I can do is see pictures. They, along with my sister's boys, are growing up too fast, and I just hope I make it there before they grow up! Link up your Wordless Wednesday post for us all to see! They are lovely girls. I have never seen my nieces, except in photos. It is hard living so far away. Yeah, they do grow up fast. My youngest niece just turned 2. Luckily I get to see her often...Aunties are the best! oh how cute are they!! Aww they are so cute! Happy WW! My sister literally just had a baby today... wish I were closer too! I would be proud too! They are precious. You're in Maryland and your brother (and nieces) are out near Tacoma? Get out!! I'm in PA and my brother and his wife and twin girls are in Tacoma! I grew up in the Seattle area so my parents and siblings are still out there...hard to be so far away sometimes. What beautiful girls! I have 5 nieces and never get to see them enough either! Beautiful girls. Love the background. I live not too far, but far enought that I don't get to see my nieces and nephews very often. Luckily, everyone is coming to town this weekend for kiddo's birthday. It's been since May that I have seen everyone. Happy WW and take care. They do grow up so fast and I'm in the same boat.... I live pretty far from my nieces and nephews. I request a lot of photos and try to talk with them on Skype. Oh they are gorgeous little girls! I only have boys and none of my siblings have children yet and my BIL only has a boy... I need some girls to be aunties to! They are adorable.